I want to start this post off by stating something that I think we can all agree on: If you don’t like the AT&T commercials where the guy has brainstorming sessions with little kids then you’re a monster. They are funny and refreshing and touch on the childhood innocence that helps us realize that comedy can be the most simple thing in the world. Essentially they are successful versions of the Capital One Jimmy Fallon commercials with the baby. Don’t get me wrong, I like Jimmy Fallon, but watching him try to please an angry baby is a very upsetting activity to participate in. The fact that AT&T has been so successful in creating a likable TV commercial series that is run constantly on just about every channel is more impressive than you think. Try to think of three commercials that you like. Now try to think of 10 commercials that you hate. I bet that second one was a lot easier. Good commercials are hard to find. The Most Interesting Man in the World can’t do it all by himself. What I’m trying to say is the gap between good and bad commercials is much wider than the gap between good and bad movies, TV shows or books. Not to mention that there are way more bad commercials than good ones. As we’ve already established, if you liked the Bud Light commercial better then you are a monster. If you are a normal person then the insincere portrayal of the life of twenty-somethings who drink beer made you irrationally angry. Is it just me or do companies just use the same multi-racial group of business casual hipsters to sell us half the things in this country? I’m pretty sure that right after that blind date ended the black dude put on some thick-rimmed glasses, the girl put on a fedora and they all road tripped cross country in search of Doritos Locos Tacos. Back to the AT&T commercials. Obviously the kids’ crazy ideas are the foundation by which the commercials are built upon. But what makes them great are the man’s deadpan response to the children. May I remeind you that in America we do things a certain way. We take something that is likable and shove it down each other’s throats until we all hate it. That’s what it means to strike while the iron’s hot. It’s what makes us so great…or obnoxious…I’m not sure…Either way, it’s what we do and that’s not about to change. So here’s what I propose: we give this Beck Bennett and his ragtag gang of adolescents a TV show where they can entertain us for a full half hour. I think the best way to handle this is with a reality show. According to this Twitter conversation that Bennett had with a follower, most of the stuff from those commercials is improvised which means two things: 1.) Bennett is a master of improvisation and 2.) There’s no reason to think these kids couldn’t sustain that level of hilarity for an entire season of television. I don’t know which show is winning the ratings battle between American Idol and The Voice, but if it’s Idol then they should definitely consider replacing their judges with Bennett and the children. Why not? I mean Simon Cowell isn’t on the show anymore. The judges have been replaced with new ones just about every season anyway. Is anyone going to be angered over the loss of Nicki Minaj? You make the kids the judges and Bennett the middle man/moderator. They would be great. Kids are brutally honest and they can either be really easy to impress or impossible to impress based on whether they like you or not. Oh you can sing and dance? Well, that little black kid can shake his head and wave his hand at the same damn time. You’ll have to do more than that if you want approval. I’ve never watched Celebrity Rehab, but my premise for this show is that we put the kids in a room full of celebrities and hope they can help solve their addiction. Once again, Bennett is the middleman. I know you may think this sounds slightly unethical, but keep in mind that a show called Celebrity Rehab in which we are entertained by watching people fight their demons already exists. Whatever the line is, I think we crossed it a while ago. I’ll be honest, I didn’t really put much thought or effort into this one. It just kind of goes along with the American concept of taking two popular things and smashing them together. Basically the premise here would be that the kids move in with the Kardashians and they all live their separate lives. Bennett would have random talking sessions with both the children and the Kardashians keeping the exact same deadpan tone of voice for both. It’s up to America to determine who is smarter. 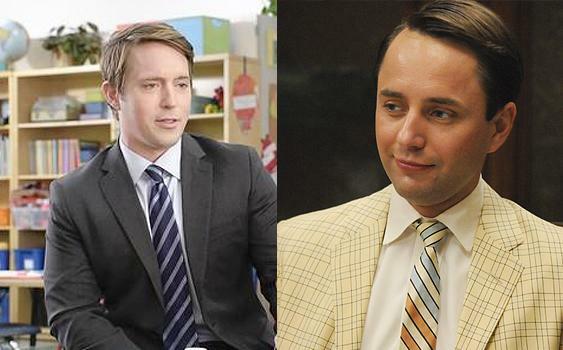 Beck Bennett, I hope you’re ready because you’re about to be the future of television.